Regulation (EU) No 910/2014 provides that a trust mark for qualified trust services may be used by qualified trust service providers to enhance confidence and convenience for users. Such a trust mark clearly differentiates qualified trust services from other trust services thus contributing to transparency in the market thereby fostering confidence in and convenience of online services which are essential for users to fully benefit and consciously rely on electronic services. The Commission organised a competition for students of art and design from the Member States, to gather proposals for a new logo. A jury of experts selected the three best proposals based on the criteria specified in the e-Mark U Trust Competition technical and design specifications. An online consultation was held from 14 October to 14 November 2014. 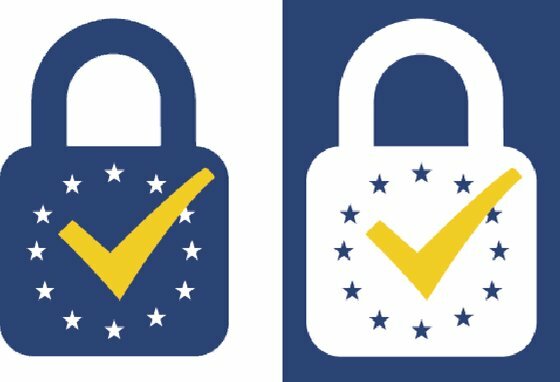 The proposed logo chosen by the majority of visitors to the website over that period and endorsed by a final jury decision now needs to be adopted as the new EU trust mark for qualified trust services. 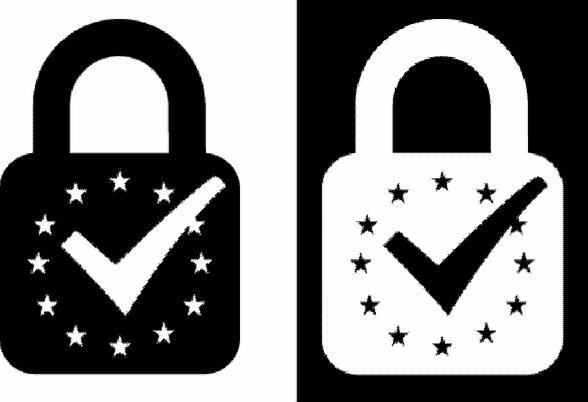 In order to enable the use of the logo as soon as it is applicable in accordance with Union legislation and to ensure the effective functioning of the internal market, to guarantee fair competition and to protect consumer interests, the new EU trust mark for qualified trust services was registered as a collective mark in the United Kingdom Intellectual Property Office and is consequently in force, usable and protected. The logo will also be registered in the Union and international registers. The EU trust mark for qualified trust services shall be in the form shown in Annexes I and II without prejudice to the provisions laid down in Article 2. 1. The reference colours for the EU trust mark for qualified trust services shall be Pantone No 654 and 116; or blue (100 % cyan + 78 % magenta + 25 % yellow + 9 % black) and yellow (19 % magenta + 95 % yellow), when a four-colour process is used; when RGB colours are used the reference colours shall be blue (43 red + 67 green + 117 blue) and yellow (243 red + 202 green + 18 blue). 2. The EU trust mark for qualified trust services may only be used in black and white, as shown in Annex II, if it is not practical to use colour. 3. If the EU trust mark for qualified trust services is used on a dark background, it may be used in negative format using the same background colour, as shown in Annexes I and II. 4. If the EU trust mark for qualified trust services is used in colour on a coloured background, that makes it difficult to see, a delimiting outer line around the EU trust mark for qualified trust services may be used to improve contrast with the background colours. The EU trust mark for qualified trust services shall have a minimum size that ensures preservation of visual attributes and key forms, but its size shall not be less than 64 × 85 pixels 150 dpi. The EU trust mark for qualified trust services shall be used in a manner that allows clear indication of qualified services that the trust mark pertains to. The trust mark may be associated with graphical or textual elements clearly indicating qualified trust services it is used for, under the condition that they do not change the nature of the EU trust mark for qualified trust services, nor alter the link with the applicable trusted lists referred to under Article 23(2) of the Regulation (EU) No 910/2014. Done at Brussels, 22 May 2015.